Air Canada Rouge is selling off some last minute seats to the Caribbean island of Puerto Rico, for $190 CAD roundtrip including taxes. Mar 6 to Mar 13 -- new! The map below will show you some great deals on AirBNB accommodations in an ideal location in Puerto Rico for under $99 CAD/night for 2 people. You could also try VRBO, which is showing 54 properties for under $80 USD/night. Just run a search for Puerto rico when you get there. After you hit Search you can apply the price filter. toronto, yyz, caribbean, eastern caribbean, flight deals, san juan, puerto rico, greater antilles and air canada rouge. 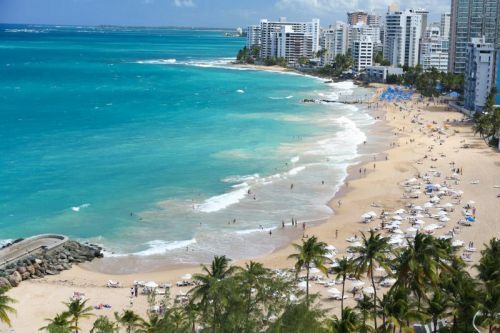 3 Responses to "Last minute: Toronto to San Juan, Puerto Rico - $190 CAD roundtrip including taxes"
I've said that same thing many times following this site, but they are always true! Sometimes they disappear fast though. *Prices displayed on this page may not reflect real-time pricing. Final prices will be displayed once you add the product to Your Cart. An overnight stay is required in Toronto. Arrangements for this stopover are not included in your package.